It's absolutely outrageous Chris. What is the point of Public Consultation - especially as in this case the public were overwhelmingly against the scheme? This clearly demonstrates that the present Scottish Government doesn't give a stuff about stewardship of one of their most precious assets - the wild places. Sold (out) to the highest bidder. Sugar in some engines is called for. I cannot blame the the people who "try on" this green energy money go round because thats how some people live. Chancers. However the people who granted this plan are the ones who need to take a serious look at themselves and ask if they are in the right job. To grant this is as big a travesty that i can recall. The winners must be laughing out load at these idiots who obviously have never been into this beautiful part of our small island. If they had, they would have rejected it point blank and put a future protection order on it. We learnt the value of public consultation with the Beauly-Denny power line - it's meaningless. And of course this wind farm and others are needed to justify Beauly-Denny. Sadly, some of those who made this decision do know what the area is like. Highland Council was in favour. I read this and the post from Cameron as well. It does seem that the environmental 'lobby' is losing out to the wind lobby most of the time. Part of the problem is the fragmented nature of the environmental groups. All the different organisations mean that more gets spent on admin and office accommodation costs than campaigning. What about amalgamation to produce a more powerful voice? And I'm not talking about another umbrella group I mean abolishing some organisations and creating a new one. I can see your logic but I fear that it could create a big bureuacratic inefficient body that didn't represent anyone adequately. I see no sense in generating energy (not that much will be generated) so far from the areas of demand and consumption. If turbines are really the answer then let's see proposals for industrialisation of The Chilterns, The Cotswolds and my local (North Worcestershire) hills. And then let's wait for the indignant protests. Is this the trade off for non-nuclear? The Scots don't want another Douneray. We will be paying for that decommissioning for the next generation or three. A friend of mine basically has his pension plan sorted out as he will be employed in the decom work for as long as he wants to! If he lives that long, says his wife! The English certainly don't want another Sellafield and last month's edition of Trail, what a waste of money, (how to roll up a Thermarest?, are they kidding?) lamented on possible nuclear waste disposal in NW England. Not in their backyard! So we are agreed, no nuclear, at least not near us. On the other hand, my backyard has the Longannet Coal Powered Station, an eyesore that nobody wants, (but provides employment, probably using imported coal) and a planning application by an English company for a coal powered station at Hunterston has been knocked back. Nobody wants coal power either. Well, not in our backyard. In the meantime, demand for power keeps increasing, so it has to come from somewhere. Natural resources are arguably the best solution, but not everyone can be winners. In my backyard, in the Ochils, we have not one but two recent wind farms and to be brutally honest, I don't see them as being any more intrusive than LRT tracks that I now see all over the hunting estates. The unfortunate side effect of these development is that there are always winners and losers but it sticks in the craw when already rich folk become richer and the poor (for non-financial reasons) become poorer. Despite the specific issues raised by the locale of this particular development, the green ambitions of the Holyrood lot are by and large laudable, but can never be perfect. Add into the mix the voracious appetite of the rich to become richer and all good meaning schemes are exploited. What we could do is put a ban on further development in our backyard and import power from abroad. But that is politically unacceptable. For the English, it is ok to "import" power from North of the Border but to rely on French, German, Dutch, Russian sources would not be acceptable politically, that is what the provinces are there for!?. The problem that we have north of the border is accepting that the deficiencies of the SNP minority government are more attractive than the Tory led minority government in Westminster. That's a scary thought, isn't it! I don't think this is a trade-off for nuclear. We'll get nuclear as well, at least in England, and in Scotland if the SNP lose the next election. The problem with Holyrood's green ambitions is that they are unplanned and disorganised and based on private businesses and landowners proposing schemes. We need a proper energy plan and a proper conservation plan. We need to decide where power stations are acceptable and where they should never be built. We need a wild land plan that conserves the irreplaceable places we have left. 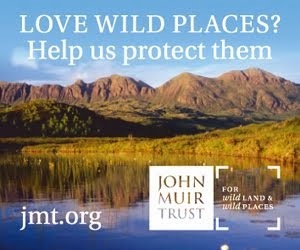 The John Muir Trust's wild land policy would be a good place to start. As to importing power from abroad we've been doing that in the last month because the wind farms have been static due to lack of wind and the temperatures have been low - and the lowest winter temperatures always come when it's calm. I'm in favour of green energy - in the right place and with the right mix - solar, wind, tidal etc. I'm not in favour of large handouts to anyone who can build a wind farm. I'd also believe politicians were serious about this when they start to do something about energy efficiency and energy conservation. That wouldn't make profits though. This may be a tiny ray of sunshine: I was recently listening to a podcast from "How Stuff Works" dealing with Rare Earth Metals. Wind turbines need these elements at something like half a tonne per megawatt capacity. Where do we get REMs from? China. What is China building a lot of these days (for it's own use)? Wind turbines. There appears to be some concern that China will just say "Sorry, we need all of these, so we're not exporting any for a bit", exports dropped sharply in 2010. I wouldn't count on it (Big Business finds a way normally) but maybe they just won't be able to make the hideous things. This is yet another announced tragedy. There's no way Alex Salmond can keep his self-imposed target of 80% renewables by 2020 other than by granting consent to more and more onshore wind plants (offshore ones are way too expensive). We've got to expect far more devastating blows to the little wild land which is left in this country. Holyrood is claiming that despite the fact that windfarms were generating only 2.5% of their potential during the cold spell (I think that means about 0.2% of the overall electricity production in Scotland), we didn't have to import any energy from abroad. But the amazing thing comes next, because they say Scotland is a net exporter of energy, which of course we knew all along. So, the picture that emerges, assuming of course they're not lying through their teeth, is this: even when wind production is at its lowest, Scotland is anyway self-sufficient in terms of electricity (maybe Torness is providing most of the backup, maybe Longannet, that is not clear). Which obviously prompt the question: WHY then build all these extra thousands of turbines? Why damage the steady income you get from tourism for the sake of what you'd get from exporting more and more energy to England or whatever. The claim that wind farms save carbon emissions has been debunked many times, so they really haven't got a leg to stand on, but unfortunately the relentless brainwashing from the BBC (anyone seen the appalling apologia for wind by Iain Stewart recently??) is working and hillwalkers are in a minority in condemning the madness of the wind rush. Look at Norway: they long ago realised how much you could get from hydro and they get most of their energy from that. They've hardly touched their oil reserves and they've very few wind plants around. 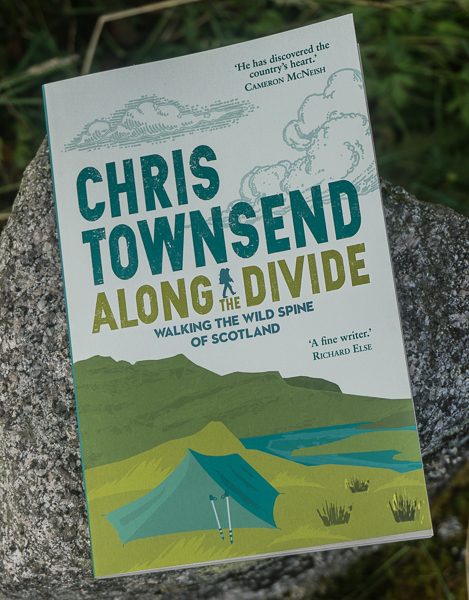 @Chris - I suggest starting with MCofS, Ramblers Scotland, CanoeScotland and Snowsport Scotland. A merged organisation could also attract BMC members based in Scotland (significant numbers). My suggestion would be to take a phased approach and start with shared accommodation/shared back office functions first. I appreciate concerns about bureaucracy but this can be managed. The key is that the merged organisation would have a much larger membership and financial base. The key would be strong leadership with vision. The wind power lobby has clear objectives and political support. Opposing that requires differences to be put aside for the greater good. Should MCofS take a lead? Neil, I can't see Snowsport Scotland having any interest in this - I don't think they care about wind farms. And they are in favour of ski developments, which the MCoS and Ramblers Scotland oppose. MCoS does much work with regard to mountain safety and climbing competitions and skills, Canoe Scotland does the same with canoeing. I can't see all this being done under one organisation and separate officers would still be needed. One of the MCoS officers is part-time and also works for Canoe Scotland so we do have close contacts. Does the BMC have many members in Scotland who are not MCoS members? I'm not aware of this. Some people, like myself, are members of both. The MCoS works closely with the BMC and the BMC contributes to our access and conservation work as they know that many of their members visit the Scottish hills. Ramblers Scotland is part of Ramblers UK, which would not give up its Scottish branch. I think the problem is that all these organisations have different objectives and opposing wind farms is only one of many aims and often not a prime one. I think working closely together on shared concerns is the best way forward. We did this with the Beauly-Denny Landscape Group, which compromised five different groups. This enabled us to put together a case at the public enquiry. I do not think a merged organisation would have made any difference here. Indeed I think that a coalition of several organisations has more clout than a single one. I know we lost the Beauly-Denny case but I think the case we put against it was a strong one and that it would have been given the go ahead regardless of what anyone said. 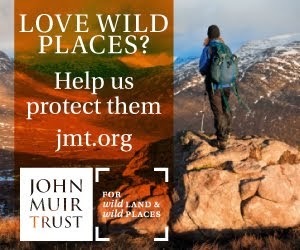 The organisation for whom conservation of wild land is the central aim is the John Muir Trust and I think that supporting the JMT's wild land campaign is essential. Amazing that so many use the land and enjoy the landscape and yet comparatively few have posted a view on this, so far at least. The elephant in the room is consumption. We're all of us addicted to more of everything, power, money, outdoor gear!? I think fighting this stuff officially is fantastic, but the community must be prepared to fight on many fronts, engaging in direct action also. It can and does work, but it is messy, and that may offend the sensibilities of some. There's a schism between Environmentalism and conservationism in the west, and also deep in mountaineering history, but there shouldn't be - ultimately, we're part of the ecosystem - I think realising that is why so many of us are out there. Time to wake up and join the dots, before we are all incorporated and the planet becomes a giant car park. The last poster touched on "consumption". There is one word that is the cause of all this. There are toooooo many humans! Simple. Trouble is, we can't bump a load off, but that would cut consumption. I am off to hide now lol. Thanks Chris, I hadn’t realised that the Highland council had given its blessing. Unbelievable. How do you work with them now. They know not what they do. I live in the area and I'm absoilutely DELIGHTED that the wind farm is going ahead. After all, I need electricity just as much as anyone else leaving a comment here, and I would much rather it was generated from wind or water than coal or nuclear. The turbines look beautiful on the horizon, I certainly don't mind having them in my view everyday. And the neighbouring windfarm at Farr hasn't resulted in the landscape being "trashed" so I don't see why you should think Dunmaglass should be any different. All the hysteria you're trying to whip up makes me laugh, if you don't like wind farms, stop using electricity, simple as! It's a dumb argument to say wind farms equal electricity. The turbines are destructive and ugly. The Farr windfarm is a disgrace and has caused great damage. Anonymous may be happy to see the industrialisation of the hills and the destruction of nature but many of use are not so soulless and lacking in understanding or feeling for the natural world. Do you actually know the meaning of the word disgrace? And what damage has the Farr windfarm caused exactly? Having a degree in Environmental Science and being a human being who recognises that I have a need for energy makes me think my view is more balanced than "soulless". No lack in understanding the issues on my part, and I have plenty of feeling for the natural world I live in. I just don't have a problem of a tiny part of a huge area being used for a windfarm and I look forward to more such schemes in my area. Anonymous, yes I do know the meaning of disgrace. The "tiny part of a huge area" that will be the Dumnaglass wind farm covers four square miles in the middle of an almost unspoilt region. As you look forward to more such schemes you are obviously in favour of the industrialisation of the natural world. Your feelings for it are that it should be destroyed. Wind farms like Farr and Dunmaglass will never produce more than a tiny fraction of the electricity needed. The damage they do is out of all proportion to the tiny benefits - other than all the money the landowners and developers will make. Dunmaglass isn't in he middle of a vast unspoilt area, it's adjoining Strathnairn which is quite heavily populated being so close to Inverness. And while it would be ridiculous to expect a small windfarm to supply more than a tiny fraction of the power for the whole of the UK, it certainly will provide more than enough power for most of Inverness, Strathnairn and Stratherrick. However, we'll have to agree to disagree, you're not listening and I'm not learning anything new so you just cling to your nimby ideas and I'll carry on appreciating the beauty of renewable power engineering. Anonymous obviously doesn't even know where the wind farm is going to be. And when the pathetic nimby insult is produced it really is time to stop the debate. I want to discuss how to stop such obscenities not bandy words with apologists for the developers. And I do appreciate renewable power engineering - in the right place. I presume anonymous is happy not to have electricity when the wind doesn't blow and the turbines are still, as they have been for most of the last month. Anonymous has the planning map and knows how vast the Monadliaths are. And she thinks the right place is exactly somewhere like Dunmaglass, rather than some of the more scenically spectactular parts of the highlands. In four decades of walking the hills here, I've never seen more than half a dozen other walkers so don't make it sound as if it's the most well trodden part of the Monadliaths! And when the wind doesn't blow, the many hydro schemes kick in, after all, they are designed to supplement demand and act as back up when other power sources go offline. However I feel as if I'm wasting my energy, and seeing as I'm not renewable, I'll wish you good day. 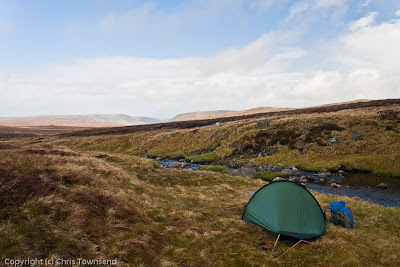 Anon: I travel to Scotland to visit the Monad Liath for their wonderful feeling of remoteness. For me they are the wash and spin drier of the soul. You don't need airy mountainous perches for renewal. You need the feeling of solitude, untouched by man's grasping hand. You obviously have not a drop of soul left in you. It's as well that you are leaving the conversation. Wind farms in remote country actually consume more energy in their manufacture than is ever recouped in their 25 year life-cycle. The planning map shows just how central the wind farm will be and how it will destroy the vastness of the Monadh Liath. I've never even implied its well-trodden. Indeed I've called it lonely. I've probably not even seen half a dozen walkers there. The hydro schemes are in use anyway. They can't produce more electricity just like that. I think its worth a read of To Hatch a Crow's brilliant postings on windfarms, another mine of information I discovered through Chris Townsend's unflinching work. I was once an unquestioning 'greeny' but turbines are seen as the latest panacea only because of subsidies, which are VAST. Ask Nick Clegg's wife. Then ask the Murdoch controlled meedja. There is no common sense at work here, the economics don't add up for anyone except the fat cats. Anonymous needs to read around the subject a little more, I would suggest. Its easy to blame population because it taps into our native snobbery about others, but in a hundred years time anyone not driving the motorways in tanks will have had to change the whole pattern of their lives, once and for all. I think its more useful to construct alliances or information networks that will lead us to sustainability - not a soundbite, but a real life in partnership with our environment. In the short term this needs to be fought on the ground, padlocks and all. There's an army of expert campers out there who know the territory, that need galvanizing! I would argue that's the job of the various organs mentioned earlier in the comments. I don't want nuclear power plants, I am also not keen on coal fired plants, but I am less troubled by wind farms. Hydro power has been praised, but is a wind farm any better or worse than a flooded glen and gigantic concrete dams? The railway arches at Auch and Glenfinnan are said to be very nice, but they are just as obtrusive as wind farms. The view of the Firth of Forth is world renowned, but it would probably look nicer without the railway bridge. Then there is that ruin outside Kingussie, nobody says that is spoiling the natural world. But it is. Somebody built a big castle on top of a volcanic plug in Edinburgh, but that is ok.
Ah, they are tourist attractions, so that makes it ok, they bring in money. Or is it just that we are accustomed to them and they don't offend the eye? There are quite a few wind farms in my region and I accept them now as part of the landscape. I have become used to them. Just as I have become used to the land rover tracks all over the hills, where once there would have been a stalkers path or no path at all. Plus we have all of the ramshackle ruins of former shooting lodges to please the eye, why do we tolerate them? Equally, you can't get angry because land owners are making a lot of money, that's what they have always done, or the estate falls into disrepair - and is sold to the King of Somewhere or Other. On the energy side, I am no expert, but by listening to both sides of the wind farm debate, it is quite obvious that both say they are correct and the other side is wrong! You believe who you want to believe! Finally, the politics - and here no one will reach agreement either. 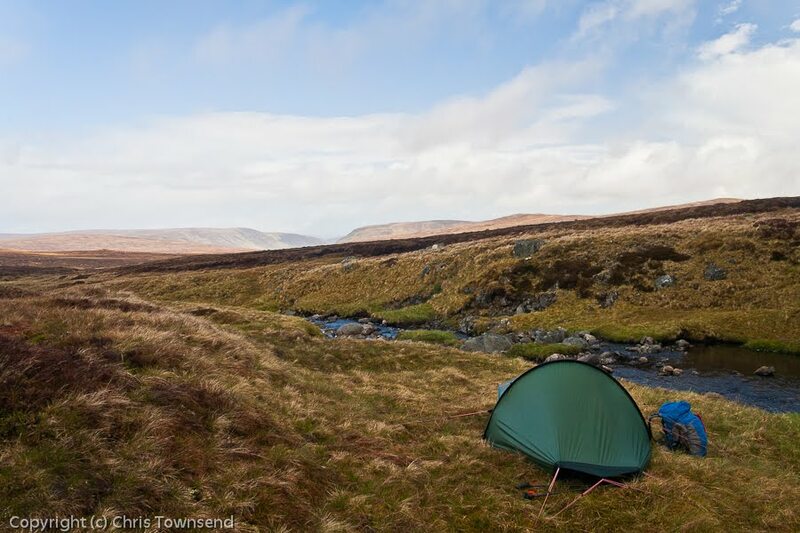 But whether you like it or not, you write that Highland Council approved the scheme, so that must carry more credence than the views of the many who treat the Highlands as a recreational area or a "wilderness area" that must be protected. The only way to achieve this latter goal is to support the purchase of estates when possible by the JMT or NTS or whatever. As long as they are privately owned and the developments follow established criteria, then all we can do is moan about it, apparently with little effect. Factor in the disruption of areas of upland bog resulting from the need for access roads and distribution pylons (in addition to the pads for the turbines themselves) and it's doubtful if many of these developments even stand to be carbon neutral over their entire working lives. Anon's posts remind me of the naive and childlike views of quite a few members of supposedly green organisations with whom I've had conversations on this subject. We want government departments to take into account the wilderness value of a site before making such a decision. If they did, then there would be fewer developments in wild areas and more of them in less sensitive areas. I think that part of the problem is that no-one knows how to express the value of wild hand in terms that a government bureaucrat would understand (ie in financial values). Wilderness value is usually expressed in emotive language ('essential to the soul of the nation') and I think that this is sadly meaningless to government bureaucrats. This makes it easier for the bureaucrats to ignore the issue. I'm not suggesting that this is why governments ignore the value of wild land - just that it makes it easier for them to do so. Should bodies like the JMT be commissioning academic economists to propose ways of valuing wild land in financial terms? Once there are academic papers out there which provide an accepted method of valuing wild hand in financial terms, it becomes easier for campaigners to participate in the planning process and harder for bureaucrats to ignore the issue. If wind power was the be all and end all then surely it would make more sense for every home to have a mini turbine providing energy to individual homes rather than these large scale installations?